Nearly a third of all homes that are placed on the market during the year occur from April through June. There has already been an uptick in the number of homes coming on the market within the last couple of weeks. 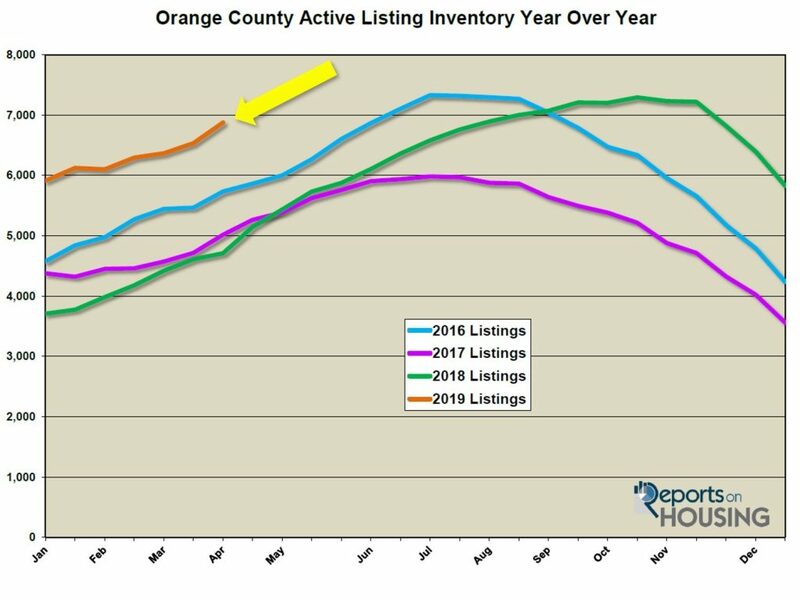 As a result, the active listing inventory in Orange County grew by 5%, adding an additional 344 homes. It now sits at 6,876 homes, its highest level since mid-November of 2018. Right now, it is the best time of the year to sell a home in terms of buyer demand. Demand is currently increasing as well, growing by 4% in the past two weeks. It will peak by mid-May. Yet, even with increasing demand, it does not mean that the market is getting hotter. In fact, what you see is what you get. The market will not improve any more than where it is today. This is due to the fact that while demand is rising, so is the active listing inventory. 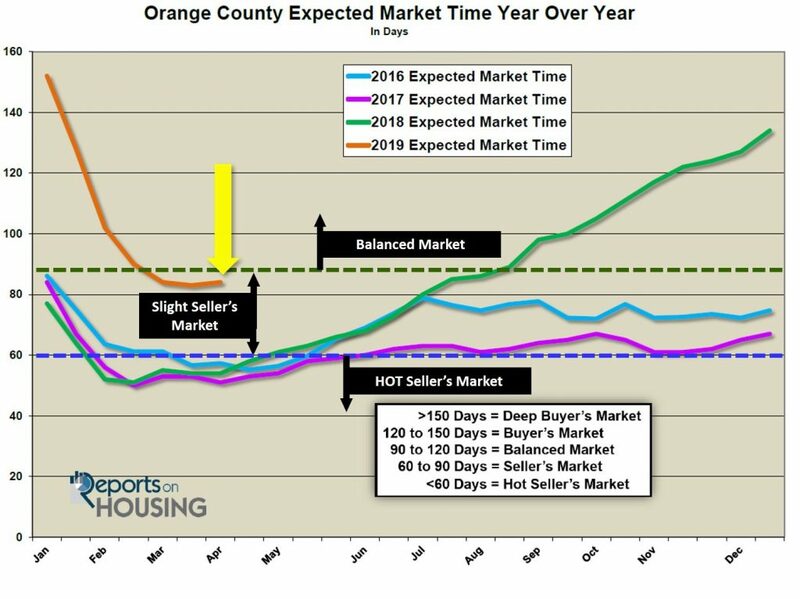 The inventory is rising slightly faster than demand. The added seller competition is offsetting any improvement in demand. In the past two weeks, the active listing inventory increased by 344 homes, up 5%, and now totals 6,876, the largest two-week increase since April of last year. This spike is not only because it is the Spring Market; it is also due to the torrential downpours now being in the past and warmer dryer weather ahead in the forecast. We can expect the inventory to continue to climb from here until it peaks sometime this summer between July and August. The inventory will most likely eclipse the 8,000 home level for the first time since 2014 and it may reach heights not seen since the start of 2012, surpassing 8,500 homes. Not sure what this means for you? Contact me and we can go over it in as much detail as you’d like. Data and comments provided by Steven Thomas, Reports On Housing – All Rights Reserved. Copyright 2019.